The Interim special report of the Committee chaired by Leader of the Opposition Honourable Ralph T. O’Neal OBE, makes some serious allegations as it relates to the controversial Ports Development Project extension, a signature pet project of the National Democratic Party (NDP) Government. 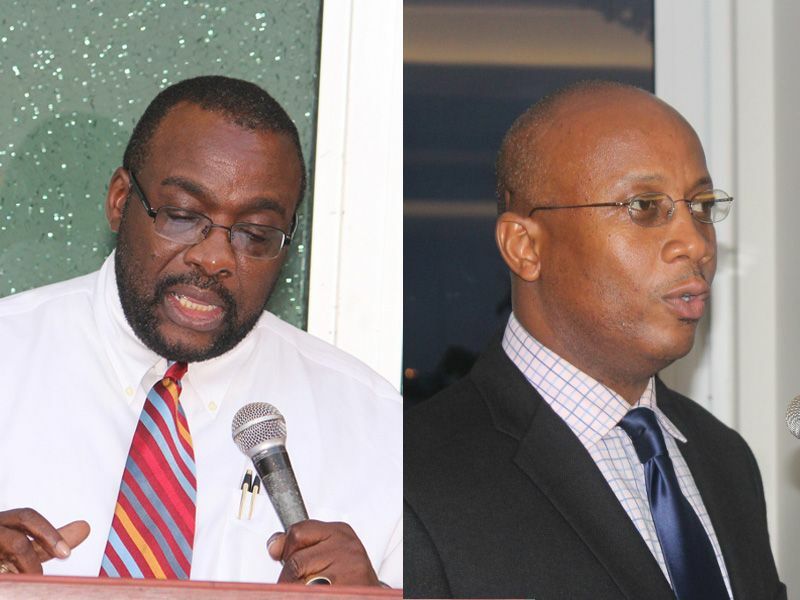 The Public Accounts Committee (PAC) interviewed many persons including Sonia M. Webster the Auditor General who also raised the alarm in her own report last year; Managing Director of the BVI Ports Authority Claude O. Skelton-Cline; Gregory W. Adams former Board Chairman; Wendell M. Gaskin Deputy Financial Secretary; Gene E. Creque the former Deputy Managing Director of the Ports and Chairman of the Board J. Edward DeCastro among many others. The Committee’s examinations, thus far, of the project have “revealed that there have been numerous apparent irregularities and questionable circumstances and actions [with] regards to the project in question” and calls for further investigations. The report by the five-member PAC with Hon. O’Neal as the Chairman said it finds that the concerns raised by the Auditor General Ms. Sonia M. Webster in the Auditor General Report dated January 31, 2013 on the Port Development Project have merit and required in-depth investigations. 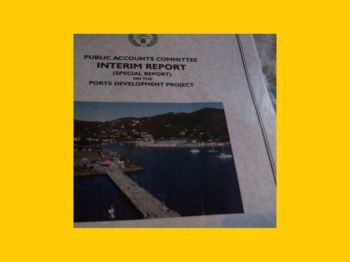 The Auditor General's Report of last year on the Ports Development Project unearthed corruption, conflict of interest, disregard for the laws of the Virgin Islands, unfair practices, undue influence in favour of one developer, disregard for the established tendering process and found that no one was looking out for the interest of the people and taxpayers of the Virgin Islands, putting the people at a disadvantage. It remains unclear if the PAC’s call for ‘further in-depth investigations” meant that they were referring to a Commission of Inquiry that is usually set up by the Governor. This finding is very important because it points out the favouritism and procedures practiced frequently by government. I hope that after these findings which I don't doubt, that Hon. O'Neal himself is more careful moving forward so his walk matches the talk. But these pay offs, and self-serving projects defining the NDP have got to stop. No wonder monies are lost and can't be tracked. Seems the Minister in the 4th has more input than the port authority itself. Then again, the port authority director seemed planted there to do the government's bidding. this whole project is corrupt. We can't even take care of the masses off cruise ships now. How can we possibly take care of an additional 4000 a day with the bigger ships? The promise was that the extension was "free" because it was being paid for by the cruise lines- hence the agreement. Pay out of $1.7 mil to TPP for their plans which aren't appropriate, is excessive. Again, investors and developers have the upper hand over a government that doesn't know how to navigate the project. and yet the government pushes forward in signing yet another agreement with Canadian and BVI-based companies to expand the dock, fill in shore land for board walk and do "some shop development". They have totally ignored any report or have tried to straighten it out. The companies are getting the bank loans. What are they getting out of the deal? My my my I am speech less so both the Auditor General and the Public Accounts committee came to the same conclusion…Where is the Governor? Mvw get loss you going trust me! I wonder where are all the politicians who have said certain freedom of expression sicken them to their stomach? Let’s see if this level of corruption sickens them also! You are correct and guess what? The Governor knows better and he won't waste his time with this folly. The project will be starting in a few weeks on dockside. Watch and weep, progress is a MUST! "faith" talk the truth and i agree with you 100000000000%....the VIP cant talk; the HISTORY is there and it speaks about BAD spending and crime under the VIP....airport project !!!!!! What you further do not understand is that laws make no sense if they are not enforced - just think about THE bvi's anti litter and environmental laws. Samething I did while wondering when will someone go to jail over this project!!! If no one aint went jail over the Purcell Ghut, Brewers Bay Project, Hannah's Reclamation or Beef Island Bridge, then no one will go to jail over this... This project will move on. Let us be clear that this ports project is at war with the people and who was promsied what! IT WOULD HAVE BEEN STARTED LONG AGO BUT THANK GOD FOR THE MEDIA!!!! When will they investigate the Sea Cows Bay Harbour project which went ahead without approvals but using Government funds? The Cruise Pier is going forward and that's a fact. Let's hear about the illegal developments using Government monies man. Corruption and misuse of Public funds will run rampant in the BVI until the Attorney General Office start to put their a$$ses in jail. The problem is that the ruling government chooses the Attorney General, so that individual is that government Attorney General. He/she does not have free will to operate independently and objectively. Our beautiful country is going to hell . We have a dpp for that! old father left millions in the port coffers....where the money gone?????? This whole project started off wrong! How we going let a Detroit Rat mind BVI cheese? It will disappear no doubt. The BVI is very toxic. I need to remind my people that what is written on these news sites are read by persons near and afar. If we are not careful the BVI will be destroyed from within. this is very concerning to me that you can have this kind is things going on in a government that is supposed to be in the Sun Shine. The Government has a lot of explaining to do. Dr Smith how do you explain the Pac report. I know you recognise by now Doc that your ship is sinking and rest assured i not voting for you again. 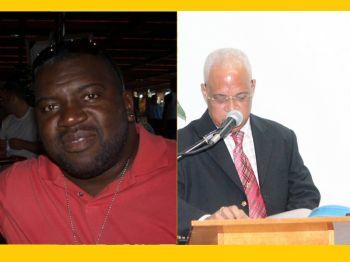 Look how deeds people with greed has destroy the bvi locally, regionally and internationally boss I taught down the islands had corruption but bvi takes the lead again and the ndp is know for corruption! You are a fool and sound so stupid...So your argument is VIP was corrupt so it’s ok for NDP to practice the same corruption…Boss we voted for change but we got the knife in the treasury! It sound like you protecting something, because you have to be deaf, dumb and blind to not see what is going on in this country. Corruption is at the highest that I have ever seen it. I live through the VIP government, and what is happening under NDP top the whole periods that the VIP governed.. Haiti, Guyana and Trinidad pale in comparison to the Corrupt NDP government in the BVI. Corruption is bigger than the size of the BVI. What a damn shame.. Btw, only people who are getting their share of what is being plundered from the public, don't see anything wrong. Mark picture needs to be there too!!! In other words, money rules, and issues like the mentally ill and lack of jobs are just political chess pieces. OMG!!! How can this be! This project is sheduled for a April 15th start up and up to today no money has been approved by this Government or the FCO. The Port is dead broke, the Central Government can't help itself and the UK is sitting tight just looking on. When will the contract be signed with Meridian ? Where are the piles and who will pay? This sounds like a done deal just like the Airport. What is the Government waiting for? Send this man back to DETROIT!! He only up at the Port playing King Soloman with a thousaand wives. Did you all heard mark trying to defend this? Shame on he!